Looking for deals in Dubrovnik? Enjoying a quiet location at a picturesque beach, the 5-star Sun Gardens Dubrovnik member of The Leading Hotels of the World, offers panoramic views of the Adriatic Sea and Elaphiti Islands. Luxurious resort with wonderful customer service and superb food. It was a perfect stay for us- away from the hustle and bustle of Old Town but close enough to get on a boat to go visit Old Town. Renovated in 2015, Hotel Neptun Dubrovnik is a peaceful beach-front property on the Lapad Peninsula. Surrounded by fragrant pine trees, it features magnificent panoramic sea views. Pastries for breakfast please! Overlooking the sea in the beautiful Lapad Bay, the Kompas hotel can be found near a pebbly beach and the popular promenade, only a 15-minute bus ride from Dubrovnik's Old Town. Absolutely gorgeous, fabulous location! Friendly and helpful staff. Boasting an adult-only rooftop pool and a bar with panoramic views of the Lapad Bay, Royal Blue Hotel enjoys a peaceful beach-front location in Babin Kuk in Dubrovnik. It is the best location in Dubrovnik, sunsets are amazing! Set 2.5 mi from the UNESCO-protected Dubrovnik Old Town, Royal Palm Hotel is a luxury hotel featuring a wellness center and indoor and outdoor pools. Everything was exceptional! Beyond any expectation. Beautiful decor, fabulous views, exquisite food, superb customer service, remarkable staff, amazing grounds, delightful pools; just a perfect spot. There’s nothing we would change and everything to come back for. We cannot give a higher recommendation and we plan to return as often as we can. Truly a gem!!!! Set 2.5 mi from the UNESCO-protected Dubrovnik Old Town, Royal Palm Hotel is a luxury hotel featuring a wellness center and indoor and outdoor pools. Everything was exceptional! Beyond any expectation. With a quiet location with views of Gruz Harbour, the Hotel Lapad is in a historic building surrounded by a large outdoor pool and palm trees. The hotel was beautiful and the staff super friendly. The breakfast was varied and delicious. Providing free access to the large Ragusa Spa with indoor and outdoor swimming pools, saunas, gym and beauty treatments, the Valamar Lacroma Dubrovnik is located on the lush Babin Kuk Peninsula. We absolutely loved our stay for our honeymoon. Set within the Importanne Resort, Hotel Ariston offers a private beach and a seaside swimming pool with panoramic views. Guided excursions to Elaphiti Islands are available. I have no bad comment about the hotel. The service is 100% on point, presentation at its best. Hotel Petka is set 1.9 mi from Dubrovnik's Old Town and 1969 feet from the beach in Lapad Bay. All rooms feature satellite TV and free Wi-Fi internet access. There are 2 on-site restaurants available.... Friendly recepcionists. Great view over harbour. Good breakfast. Enjoying a quiet location at a picturesque beach, the 5-star Sun Gardens Dubrovnik member of The Leading Hotels of the World, offers panoramic views of the Adriatic Sea and Elaphiti Islands. Luxurious resort with wonderful customer service and superb food. Located in the Lapad Peninsula, Hotel Dubrovnik Palace offers a beach and a scuba diving center. Great experience , the hotel is fantactic and the staff and the service are amaizing. Set on the beachfront, the 5-star Boutique Hotel More offers elegant accommodations, an outdoor pool, 2 restaurants and the unique Cave Bar. Spectacular location on the cliff, stylish interior, several pools and a nice beach area. The 5-star Villa Orsula, set only a 5-minute walk from Dubrovnik’s center, offers unique views of the Adriatic Sea, Lokrum Island and the Old Town. Everything. Mostly the personal. At the seafront of Gruz Bay and a 10-minute drive from Dubrovnik's Old Town, this 5-star boutique offers elegantly furnished rooms with stylish bathrooms. The hotel was beautiful in a wonderful location away from the hustle and bustle of Old Town. Set on a spectacular cliff above Miramare Bay, the Bellevue Hotel offers splendid sea views from all rooms. Dubrovnik's old town is 0.7 mi away. Location is perfect, only 15 minutes walk from old town. Featuring indoor and outdoor swimming pools, a restaurant and a wellness center, Valamar Argosy Hotel is located in Babin Kuk, 3.5 mi from Dubrovnik Old Town. The hotel is magnificent. The facilities are unbelievable. Surrounded by Mediterranean shrubs and palm trees, Boutique & Beach Hotel Villa Wolff is set in Dubrovnik. The hotel features a seafood restaurant with a terrace for al fresco dining. Great staff and location on a pedestrian only street. The Hotel Perla is situated in the beautiful Lapad bay of Dubrovnik, 1.8 miles from the historic old town, which is easily accessible by local buses. It’s a 3 star hotel, so don’t expect any extravaganza. But for this price, the hotel is perfect. Which hotels are the best ones to stay at in Dubrovnik? Hotel Kompas, Hotel Neptun Dubrovnik, and Hotel Dubrovnik Palace are some of the popular hotels in Dubrovnik. How much is a hotel in Dubrovnik for tonight? On average, it costs CHF 86 per night to book a 3-star hotel in Dubrovnik for tonight. You'll pay around CHF 109 if you choose to stay in a 4-star hotel tonight, while a 5-star hotel in Dubrovnik will cost around CHF 136, on average (based on Booking.com prices). Which hotels in Dubrovnik have nice views? Royal Princess Hotel, Hotel Dubrovnik Palace, and Rixos Libertas Dubrovnik got great room view-related reviews from travelers in Dubrovnik. Which hotels in Dubrovnik are good for couples? These hotels in Dubrovnik are highly rated by couples: Villa Orsula, Villa Dubrovnik, and Boutique Hotel Kazbek. 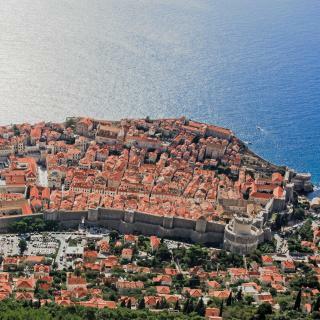 Which neighborhood is the best one to stay at in Dubrovnik? Old Town, Babin Kuk, and Lapad are popular with other travelers visiting Dubrovnik. What are the best hotels in Dubrovnik near Dubrovnik Copacabana Beach? Some of the best hotels in Dubrovnik near Dubrovnik Copacabana Beach include Apartments Mali Stradun, Adriatic Dream Apartments and Apartment Staka. 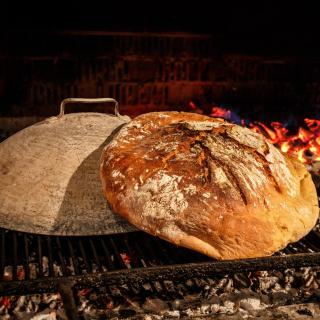 Which hotels in Dubrovnik offer an especially good breakfast? 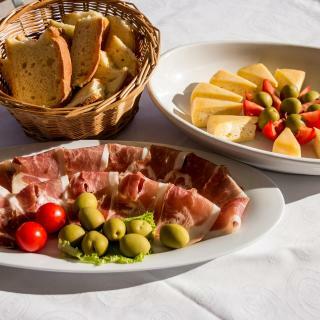 For hotels in Dubrovnik that serve highly-rated breakfasts, try Villa Orsula, Boutique Hotel Kazbek, and Valamar Collection Dubrovnik President Hotel. How much does it cost to stay in a hotel in Dubrovnik? On average, 3-star hotels in Dubrovnik cost CHF 63 per night, and 4-star hotels in Dubrovnik are CHF 100 per night. If you're looking for something really special, a 5-star hotel in Dubrovnik can be found for CHF 175 per night, on average (based on Booking.com prices). Which hotels in Dubrovnik are good for families? Many families visiting Dubrovnik loved staying at Villa Orsula, Boutique Hotel Kazbek, and Royal Palm Hotel. How much is a hotel in Dubrovnik for this weekend? The average price per night for a 3-star hotel in Dubrovnik this weekend is CHF 160 or, for a 4-star hotel, CHF 248. Looking for something even fancier? 5-star hotels in Dubrovnik for this weekend cost around CHF 270 per night, on average (based on Booking.com prices). A medieval beauty full of magnificence and glory, Dubrovnik is surrounded by white stone walls. Located on the Adriatic coast of Croatia, this masterpiece is one of the most promising tourist destinations. Passing through the imposing stone gate of Pile Gate, you will find yourself immersed in history. Take a walk in the narrow streets of this charming city, enjoy a cup of coffee in one of the colorful cafés, or order fresh fish in one of the outdoor restaurants. Surrounded by turquoise waters, Dubrovnik Old Town sights include the picturesque Stradun, Onofrio fountain and the Franciscan monastery. The city’s cable car will take you up to Mount Srd from where you can savor panoramic views over the treasures of this UNESCO World Heritage Site. 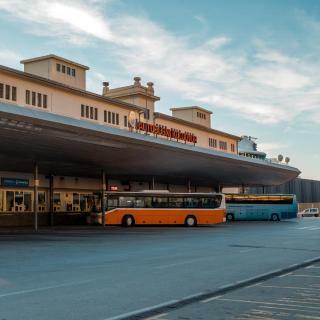 Buses connect Dubrovnik Airport with the city center, and Booking.com has a variety of hotels, apartments, and guesthouses throughout. Dubrovnik is a very 'touristy' place but for good reasons. It is spectacular and the buildings and history of the place is amazing. Anyone who likes to look at medieval stuff will love it. Be prepared to walk everywhere. The steps can be a problem if anyone has issues don't go here. The locals are friendly but did express being 'fed up with so many tourists'. We ate anywhere the food isn't particularly memorable. Although we hired a car we parked up as soon as we got to our accommodation as the streets are so narrow and busy and the parking very limited it would be difficult to drive around the city. Make sure you check with your accommodation before booking if they offer parking! Easter was a great time to go as I can only imagine how packed it is in summer. The weather was precarious one minute it was sunny the next it was pouring rain. Please ensure that if you rent a car you double check all the details and my rental was incorrect and I discovered it just before travelling. The agents who organised the rental rebooked but were unhelpful in any other way and it cost me dear. Be prepared also to pay extra for any border crossing (£50). You can see the town itself in one day. You can see the town itself in one day. If you stay close to the old city walls, you can walk to everything. We stayed longer because it was a good anchor point for day trips to Montenegro and Medugorje. Dubrovnik was very crowded compared to our last 2 visits, assuming due to the notoriety of Games of Thrones. We spent 2 days which was the perfect amount of time from our perspective. We ate mainly seafood which was excellent, but pricey compared to other Croatian cities. Dubrovnik is a very special town, very different compared to any other traditional European town. In a bright sunny day, a full walk on the wall will give you once in a lifetime memory. In the evening, walking on the streets of the old town will mesmerize your eyes. Dubrovnik -King’s Landing- is a must-see for the die-hard Game of Thrones fan. Now that the eighth season has kicked off, the city has a real GoT vibe. The old town is compact and beautifully preserved. There are plenty of cosy corners and holes in the wall. Having said that, local commerce is well aware of film tourism. T-shirts and merchandise are sold for absolutely outrageous prices. The same holds for walks on the wall. Still, DBV makes for a nice day-trip. Hotel Adria is a 7-minute taxi ride from the Pile Gate, not that far. The bus to Old Town is just across the street. The breakfat is excellent, they also have dinner buffets for 18 euros with a wide variety of food. The restaurant is overlooking the port/water, you will get beautiful views. Staff are helpful and nice. The bathroom is big. I came with friends and our room was on -6 floor but we had a balcony. We witnessed the sunset everyday, it’s beautiful. I would stay here again. Idyllic setting set in cliff side overlooking beautiful views across the sea. Very comfortable hotel, modern furnished rooms. We had 2 interconnecting rooms which were ideal for a family. Staff at all levels were very friendly but not in an overbearing way. The walk from the hotel to the Old Town is 20 minutes with some of the most beautiful scenery along the way. Facilities at the pool and generally around the hotel were in keeping with its 5 star rating. Overall, highly recommended. The Apartment is very complete with all you need for a long Stay with free parking. 15 min walk from Dubrovnik old town. It is provided with air conditioning, confortable beds and 2 sofa beds. The owner welcomed us with Chocolate crepes/pancakes and natural juice. She also offered us some summer Dubrovnik fruits. We got dazzled with the owner kindness. We felt like home! I strongly recommend to everyone. It's better than a hotel. The location is great, you can park the car in front of hotel and the bus station just 3 mins walk. 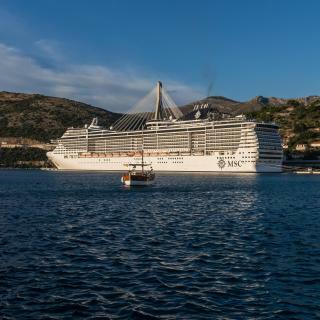 It's the best way to go to Dubrovnik old town. The traffic and parking is crazy there. Also there is a craft beer factory and big super market near by the kitchen facility is good. You can prepare your food. 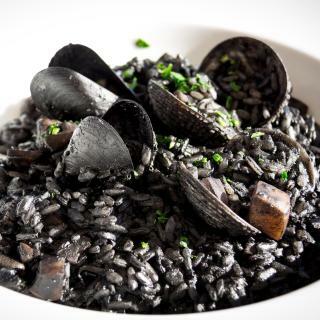 ( The price of restaurant in Dubrovnik is crazy comparing with other towns in Croatia ). The best location in Dubrovnik old town, less than 5 minutes walk from Stradun (the main street). The apartment is very modern and clean, good air conditioner for the summer and kitchen. The host, Petar, was really kind and helpful with us, he recommended us what to visit, and he even walked us to the supermarket because we were lost. I would definitely recommend this place! Owners are incredibly nice and accommodating. The owners homemade liquor is delicious! Dubrovnik is a very touristy expensive town and you will not find any other place that gives you the bang for the buck and convenient location. The location is walkable between the bus station and old town and Airport Shuttle stop at Grawe building. Everything was new and tidy. The pool is quite cool and there are good and cheap restaurants about 100 steps down the hotel. Do not forget anything ;). The Beach is also very nice and has more space than other beaches on Dubrovnik. To get to the old Town you have to take a bus which takes about 10 minutes and 2 euros. The location is great - right outside the pile gate. Takes you only two minutes to get into the old Town and is close to all day trip pick up points . Owner was very helpful and also carried our bag since there are some steps leading to the apartment (as is anywhere else in Dubrovnik). We had the best stay here and would return in a heartbeat! The hotel is perfectly located, with easy access to everything in the Old Town. It’s beautiful, charming, very clean and the staff is incredibly friendly and helpful. Thank you for everything-we loved our stay in Dubrovnik! This has to be the best hotel in Dubrovnik. All the facilities are 5 star. The staff are very friendly and helpful. The breakfast is outstanding. The boat that takes you to the old town is a great extra. We can not recommend this property enough. Perfect location for Dubrovnik old town. Very nice and helpful ladies running hotel - they couldn’t do enough for you. Nice continental breakfast and omelette if you would like. Basic room but that’s all you need. The hotel had everything you'd expect a 5 star hotel to offer including a great location and excellent service. It's historical building adds to the overall feeling of luxury. It was right on the beach. The bus stop to get into Dubrovnik old town was right outside hotel. Perfect for our 3 day stay. Clean Hotel with easy access to whole Dubrovnik. (bus connection to Old Town). Good breakfast. arguably the most beautiful city in the world, and one of the grandest hotels with the best view of the adriatic. amazing breakfast and one of the best pool areas I have ever seen. Being able to jump in the sea anytime you want is a treasure. Spectacular location on the cliff, stylish interior, several pools and a nice beach area. The cliff bar is a major attraction. We hat a very big room.